Our steel hilts are currently available in several models, finishes, and guard types. This allows for a range of customization to meet the buyer's requirements. All hilts come in either a factory blue black or wire brushed gray finish. 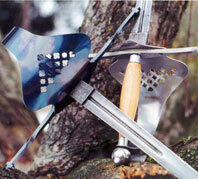 Rod tang blades are mounted with wooden grips banded at both ends to eliminate splitting. These come in a natural wood or black stain finish. Other colors are available on request. All hilts are mounted with pommels of appropriate weight for the selected blade. Customers may request a lighter or heavier pommel. We currently produce two perforation patterns. 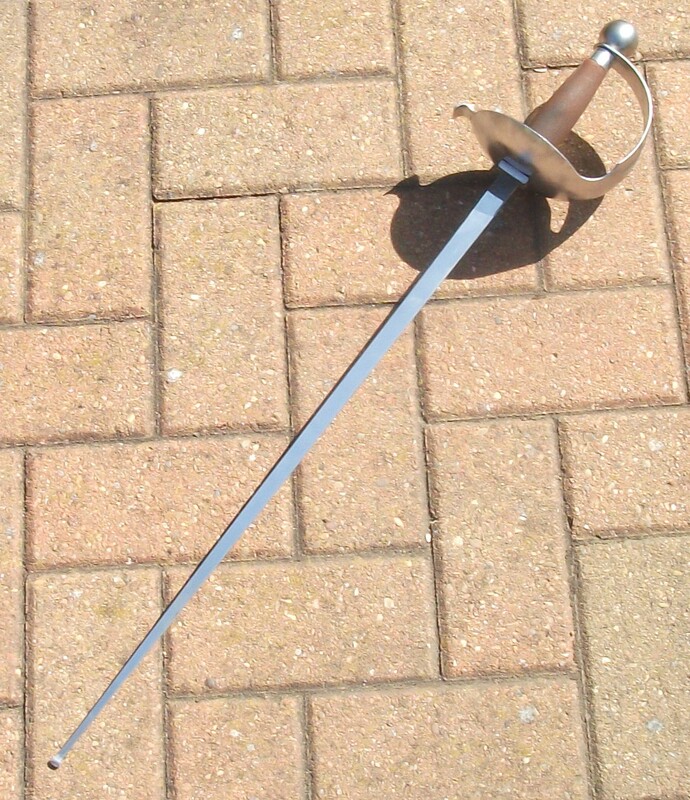 The first of these is based on a Pappenheimer rapier in the collection of the Cleveland Museum Of Art. For a detailed look at the Pappenheimer cut out pattern click here. The second is a playing card motif which we refer to as the mercenary pattern. For a detailed look at the mercenary cut out pattern click here.